On this 1.5-hour walking tour, experience Alexandria's Colonial and Civil War era history. Inspired by the PBS drama Mercy Street, visit John Carlyle's 18th century mansion, an 18th century tavern, George Washington's church, and a 19th century Apothecary shop. On your stroll through Alexandria, enjoy the passion of your professional guide and the rich history of the longest Union occupied southern city. 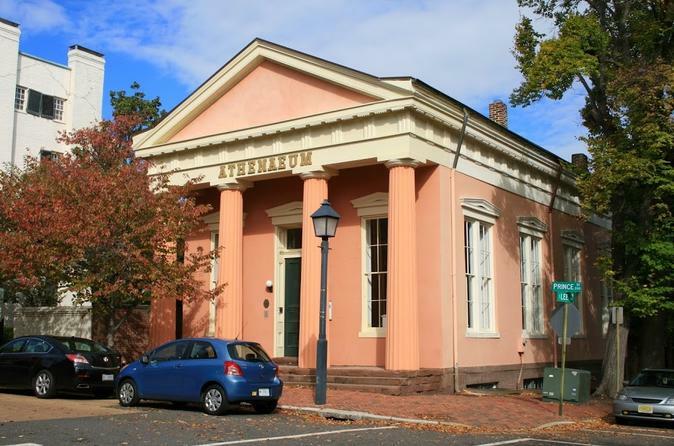 Stroll through Civil War history on this 1.5-hour tour in Alexandria. Meet your professional guide at the Visitor Center, located at 221 King Street. Begin your tour by walking by a hospital and logistics center used during the Civil War and open your eyes to the rich history of Alexandria. Visit the stone mansion of John Carlyle, a forgotten founding father. Sit in the same pew George Washington owned at Historic Christ Church. Walk through a WWI era torpedo factory. Discover the mystery about the sale of Mount Vernon at an Alexandria Bank. Then visit the location where the first two casualties of the Civil War occurred. Become a part of the history of the Civil War and experience Alexandria on this exciting walking tour.